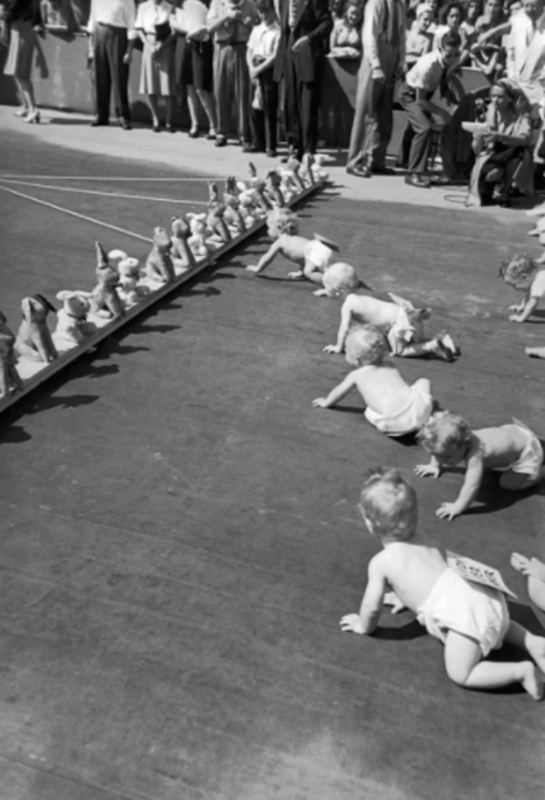 Babies crawl toward a mobile row of stuffed rabbits during the eighth annual Diaper Derby. July 1946.Cornell Capa/The LIFE Picture Collection/Getty Images. 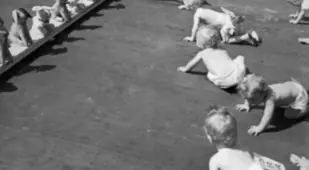 Babies head toward the finish line. July 1946.Cornell Capa/The LIFE Picture Collection/Getty Image. "Donut Dan" stands before the finish line. July 1946.Cornell Capa/The LIFE Picture Collection/Getty Images. 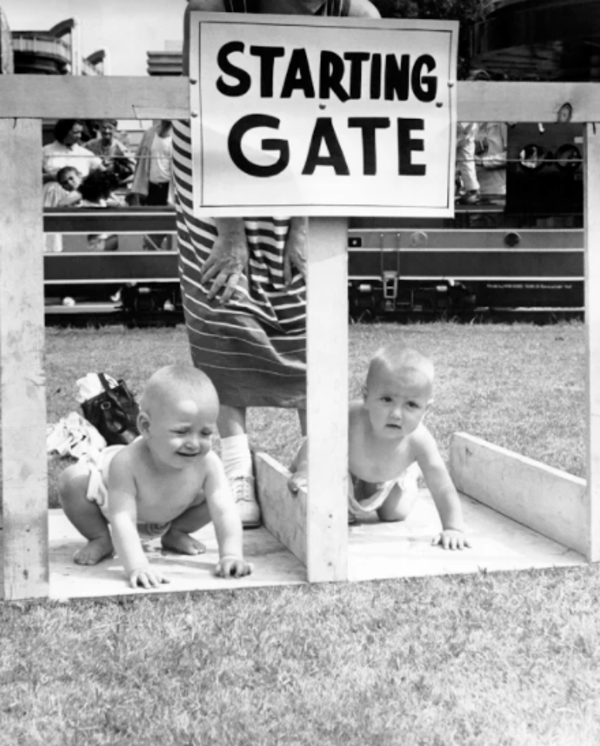 Back in the 1940s and 1950s, baby racing was a surprisingly popular sport. 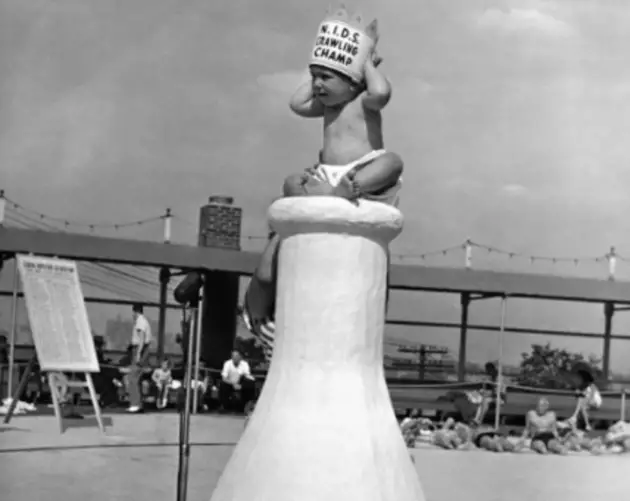 In fact, an annual baby racing competition, known as Diaper Derby, was sponsored by the National Institute of Diaper Services and held at a fairground in New Jersey's Palisades Park each year between 1946 and 1955 (a similar event takes place today). No special talents were required to participate in the rather bizarre race that has since been dubbed as the slowest two minutes in sports. 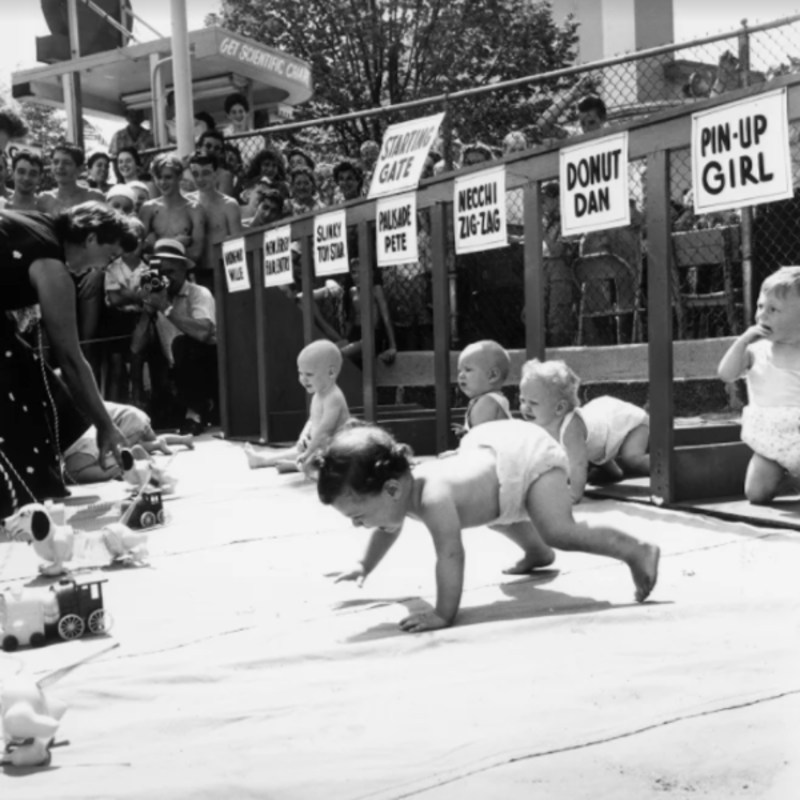 Diaper-clad tots were simply lined at a starting gate by their parents, usually mothers, and once the race began, were urged to crawl to the finish line. Of course, babies are a fickle lot, so the finish line was made to look as enticing as possible; it was lined with stuffed bears, bunnies, dogs, and other such animals that babies have an affinity for. But no matter who reached the finish line first, there were no losers in this adorable competition. 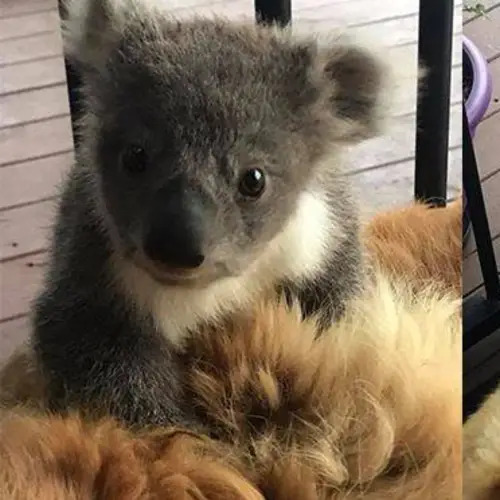 Almost every baby got to take home the stuffed animal he or she was crawling towards. However, the champion of the crawling race got to take home more than just a toy. The overall winner received a $50 savings bond and a special crown. However, it is worth noting that any baby that got up and walked was immediately disqualified. After all, discipline has to start at a young age. 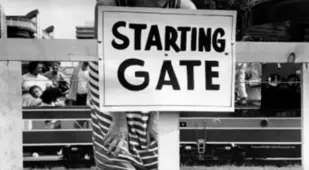 Furthermore, to make things more interesting, each baby participating in the race had a special nickname assigned to him or her. For example, one baby was nicknamed "Donut Dan" while another went by the name "Pretzel Bender." 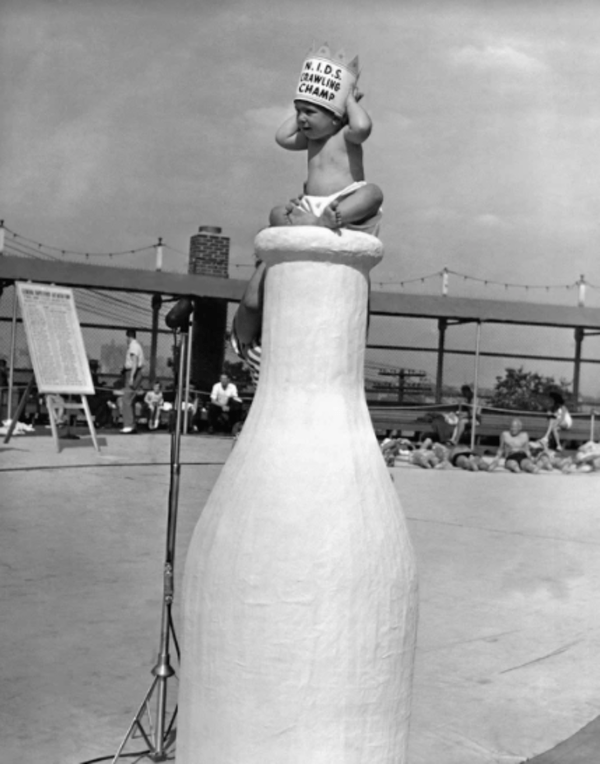 Clearly, as a general rule, Diaper Derbies were kind of ridiculous. 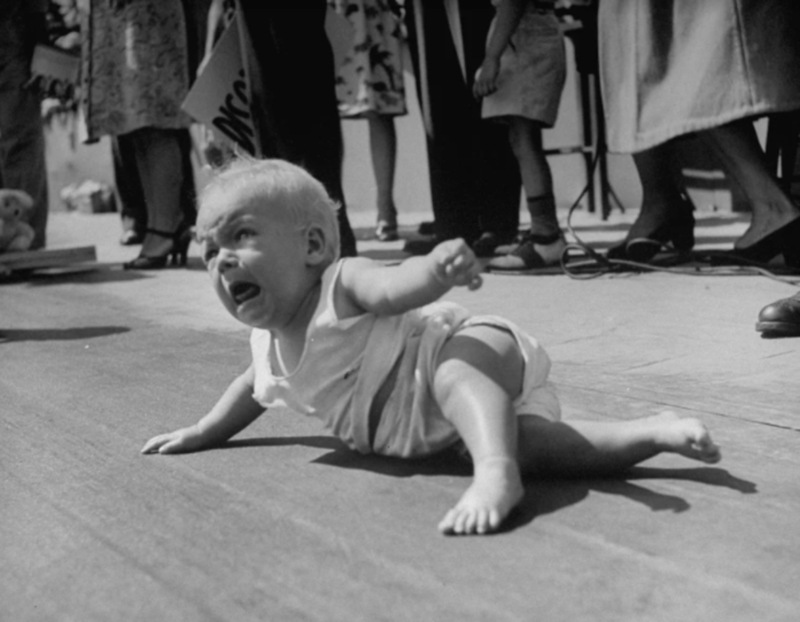 Sometimes babies fell asleep before reaching the finish line while other times they just stood up and walked off, not giving a damn about being disqualified. 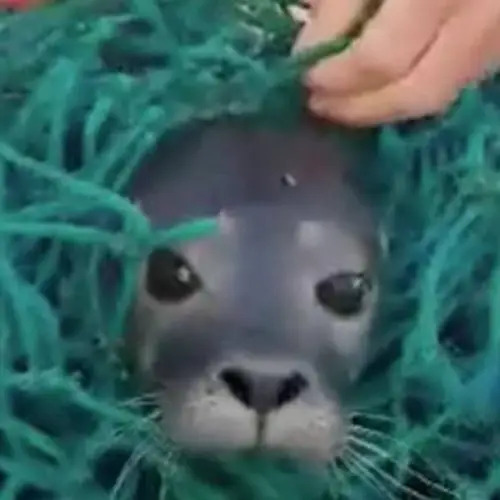 And it wasn’t just the babies who had it tough. Their mothers often had to wait for hours for the race to finish as various unpredictable delays would further slow down the slowest race in the world. But it was all worth it in the end. At least for the champion. Or rather, the champion’s parents. 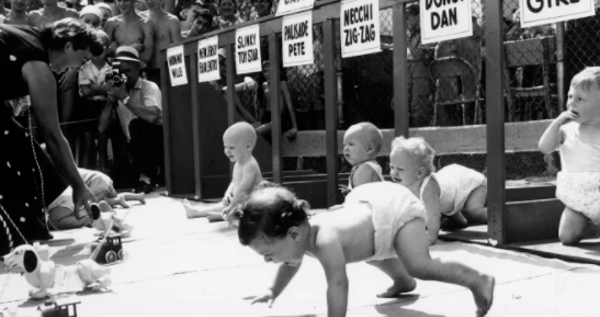 After this look at baby racing, check out some of the weirdest Olympic events of decades past. 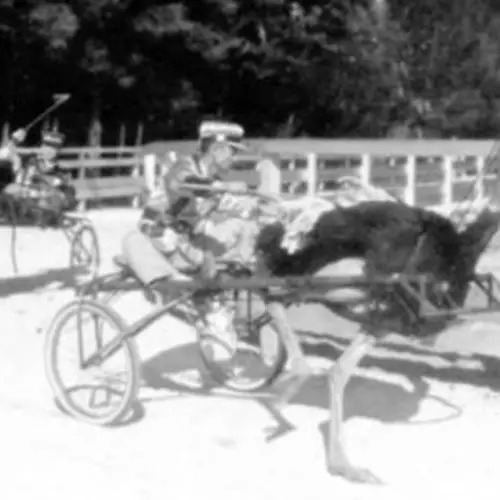 Then, read up on the old-school pastime of ostrich racing. Man Masturbates Onto 13-Year-Old At "Pittsburgh's Best Amusement Park For Kids and Families"